This year I joined The Great Food Blogger Cookie Swap. Hundreds of food bloggers get together and swap a dozen cookies with three different bloggers. We make the cookies and send them off to our matches. No one knows who will be their match until you start to receive packages in the mail. This was my first year joining so I wanted to make sure I sent the perfect cookie out to my swaps. Due to so many crazy things going on in my life I couldn't get my cookies made until the last day to have them shipped out. I needed a good and sturdy cookie to ship out in the mail. That morning I set out and made all my cookies and they started to crumble. Oh no, what am I to do now. The clock is ticking away and I am stressing. 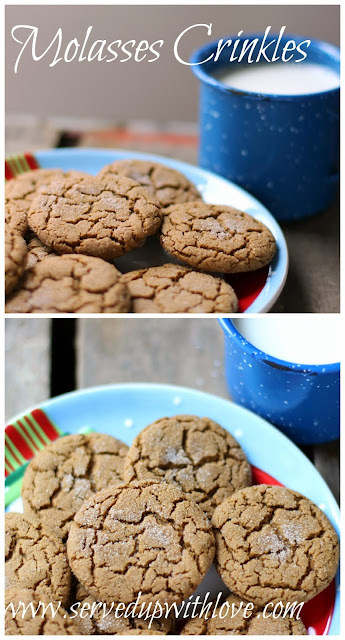 I kind of panicked a little but then went back to my trusty Ginger Snap cookie and changed up a few ingredients to make these Molasses Cookies. I knew these would hold up in the shipping process. 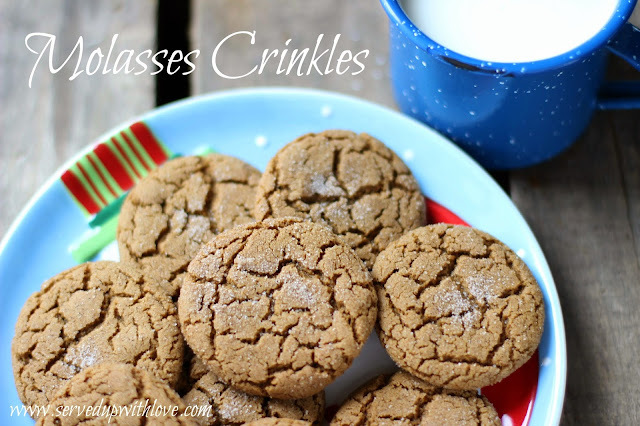 My first batch of Molasses Crinkles burned on me. Great another obstacle in my way. So I made another batch and prayed I would not have to make them again. The second batch turned out perfect. I packaged these little babies up by stacking them in a clear treat bag. 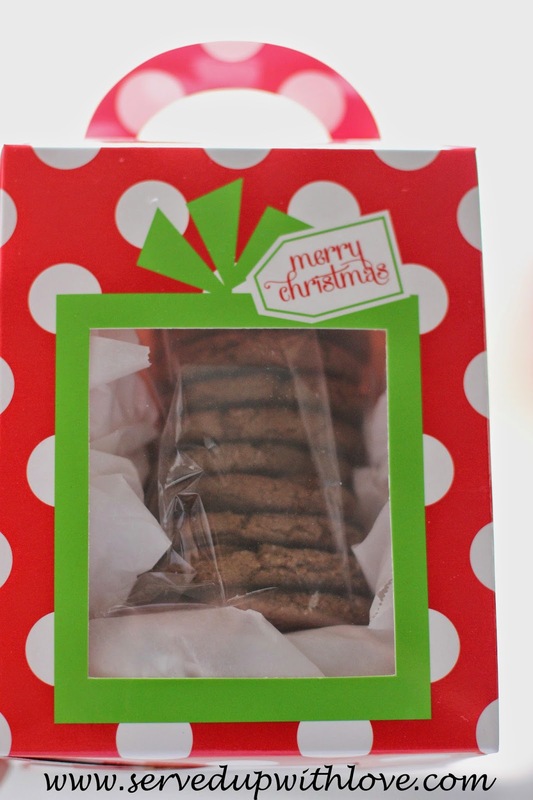 I crumbled parchment paper in the bottom and sides of the cute little treat box. I added the recipe and my business card in the box. Placed it in a box surrounded by lots of bubble wrap. I shook the box really good and nothing moved. Off to the Post Office I went. 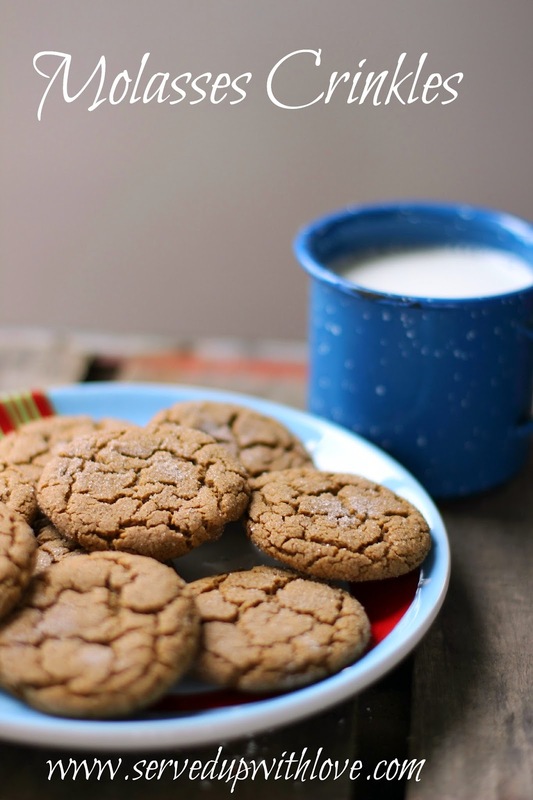 This year, The Great Food Blogger Cookie Swap, partnered up with Cookies For Kids Cancer, a national non profit organization committed to funding new therapies used in the fight against pediatric cancer, which claims the lives of more children in the US than any other disease. Please consider donating today to this great cause. Thank you for the delicious cookies! The packaging was adorable, too! Glad you liked them and they arrived in one piece. I LOVE these cookies!